The generation shift happening in Burgundy is one of the great trends in wine with a new set of Burgundy young guns coming through. One explanation is the way Burgundy is distributed through the en primeur system. Allocations in Burgundy are based on loyalty and loyalty takes time. If there is one thing about the winemakers from Burgundy, they are extremely loyal – to the land and their long-term customers. Often we see when the generation changes hands, the younger generation is dissatisfied with the old ways and changes their negociant. Or the producer is bought by a bigger fish, for example, Faiveley buying Dupont-Tisserandot when Didier Chevillon retired. As Burgundy adopted the Napoleonic system of inheritance, vineyards are either inherited or, with increasing prices, bought by larger companies (although we have yet to see this on the same scale as Bordeaux. With a string of low yielding vintages, time will only tell). When both generations are working at the same time in the winery you have a rare dynamic: experience coupled with a fresh perspective. Since 2007, Celine Fontaine at Fontaine-Gagnard has been taking more control of the winemaking from her father and the wines have been surging ahead over the past few years. There are many examples of the baton passing over to the younger generation in Burgundy over the past few years: Gregory Gouges at Domaine Henri Gouges; Charles von Canneyt at Domaine Hudelot-Noellat; and, Maxime Cheurlin at Domaine Georges Noellat have all taken over the vineyards and domaine from their family. Surprisingly, it is the way their grandfather made wine that is their ideal – low interference, minimal chemicals and working with nature. Bucking the trend of keeping it all in the family, Benjamin Leroux is considered the heir apparent to Henri Jayer – yet, unlike many in Burgundy who have inherited vines, he works very closely with growers and makes wine as a negociant. A son of the florist, rather than the recipient of a Grand Cru vineyard trust fund, he took over winemaking at Domaine Comte Armand from his old mentor, Pascal Marchand. Big shoes to fill for any young winemaker – let alone one that is only 24 years old. His first wines in 1999 were hailed as stars of the vintage. Another common denominator to the new generation is their experience of the wine world outside of Burgundy. Not only have this young generation more likely been trained in wine business at university, but they also have considerable experience working vintages across the world. At Domaine Arnoux-Lachaux, the son of Pascal Lachaux, Charles, has completed his oenology studies as well as work experience in Oregon, New Zealand and South Africa. 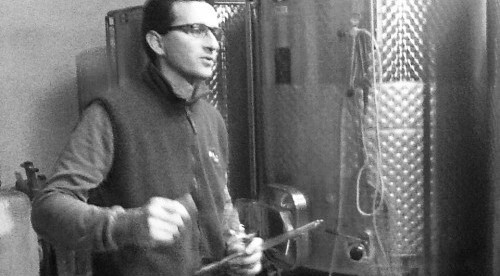 The latest Burgundy young guns bring technical knowledge and an enthusiasm for their traditions. This is good news for Burgundy lovers who can have the best of old and new.